Tapping into social networks as marketing platforms is essential for small businesses and startups looking for a wider customer base. Maximizing social networks will effectively connect businesses with consumers, increase brand awareness and promote services — all traits of success. If you haven’t set up a page on Facebook, you’re excluding products and services from the entire digital market. Give people an opportunity to like your Facebook page through marketing emails or a like button on your blog. As likes start to increase on your page, you’ll feel happy knowing you’re doing something right. You can start to build relationships with your customers and get closer to new leads. 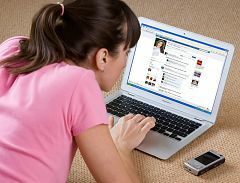 Hooking consumers on Facebook leads to brand loyalty and personal customer connections. Also, if your business or startup is going to rely heavily on social media and email marketing, it would be wise to request the services of a solid web-hosting company, such as Windows VPS at MyHosting if you use Microsoft. A reliable provider guarantees nearly flawless uptime, which means your business will never miss an opportunity to gain valuable customers because your network is down. Keep users engaged by uploading a wide range of content that reflects your brand and elicits a response. If you continually post identical status updates promoting a product or sale, users will start to dismiss your marketing content or even unlike your page for spamming. Think creatively about your business; how can you improve your fans’ user experience? What value do you bring? What types of images and stories represent your company and evoke an emotion? Reuters reported this summer that 34 percent of users are spending less time on Facebook, which means businesses need to freshen up ideas to generate purchases and interaction to avoid Facebook fatigue. Creating and posting offers for Facebook users to claim enhances your social-networking presence, helps drive activity to your Facebook page and increases business. Invite Facebook users to identify with your company intimately with pictures. Post pictures of your employees, company events and office activity as a behind-the-scenes insider’s look. Promoting a new fall line as a start-up boutique? Upload an Instagram picture of employees modeling the latest fashions. Advertising custom auto services? Upload a photo of your shop’s latest ride and its hot cosmetic upgrades. As consumers become more familiar with your company, trust and credibility grow. Actively participate in conversations developing around your visuals. Respond to feedback, answer questions and offer personal insight. Keep your friends close and your enemies closer. Like the Facebook pages of your competitors and engage in their content. Following businesses in your industry keeps you updated on trends and marketing strategies that may or may not be working. Are my competitors’ marketing and advertising strategies capturing attention? What does my business offer that competitors don’t? Does my business offer a unique voice and fresh approach to promoting products and services? Have I missed out on a trend or overlooked an effective marketing tool? Building relationships with your competitors is just as essential as it is with customers. Exchange advertising opportunities and gain a stronger presence in the industry’s community by forming a friendly partnership with your competitors.